We've got it. We offer new and exciting dinner specials every other week, using the freshest, and often local, ingredients. Click here to see our current specials! It's right here, in some of the best burgers in town! 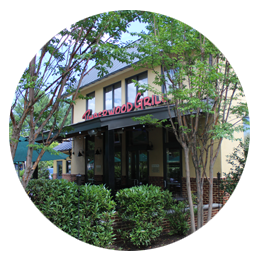 All of our burgers are also available with Timbercreek Farm beef if you prefer a delicious, local option. We work hard to accommodate special diets and allergies. Vegetarian? We have over a dozen menu items for you. Gluten free? We have a menu for you too. Just ask! Hello... Is it beer you're looking for? Then you've come to the right place. We have 24 rotating taps featuring some of the best craft beer in the world. 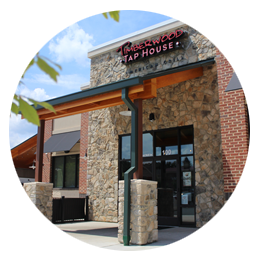 Check out our current draft list here! 1/2 SANDWICH & SOUP/SALAD LUNCH COMBOS!! !